Drying Method: Exotic hardwoods can be Kiln Dried or Air Dried. Depending on which method the wood was dried, it will determine what gap spacing you use. Air dried wood can use a 3/32” or 5/32” gap while Kiln Dried wood should be using ¼” gap spacing. Typically, but not always true (because of other variables), kiln dried material can move more and need a wider gap to expand during the wet months. Environment: This is probably one of the more important variables when deciding what gap spacing to use. In areas where the climate changes according to the seasons, you want to take deck board movement into account. For instance in Buffalo, NY where you get hot summers and snowy winters, wood can move a lot and requires a different gap spacing to accommodate for the movement. 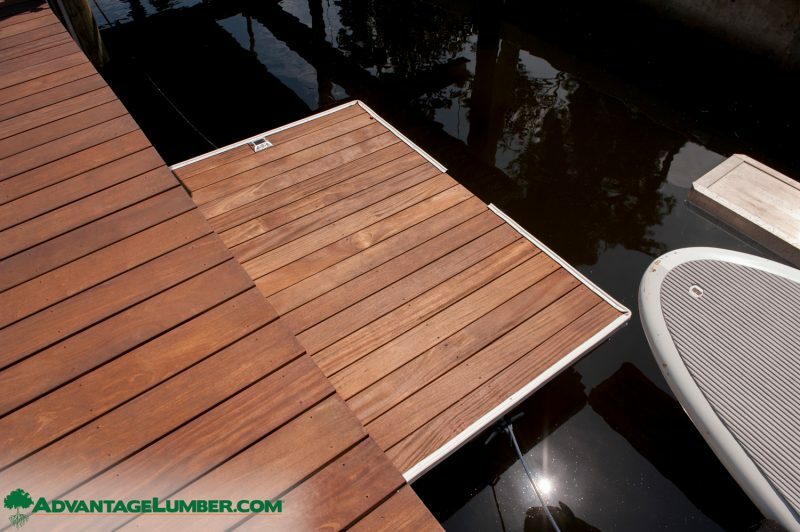 Installation: If you’re installing decking over water or on areas that will see substantial amounts of rain or you don’t have don’t have 18” of space under it, using a wider gap will help boards move evenly in all four sides and prevent water from stagnating. These are some of the three larger variables that will dictate what spacing to use. However, we always recommend that you go locally. Look for experienced exotic deck builders and ask what works best for your particular situation and if you’re doing everything yourself, give us a call! Our experienced sales people will guide you in the right direction.